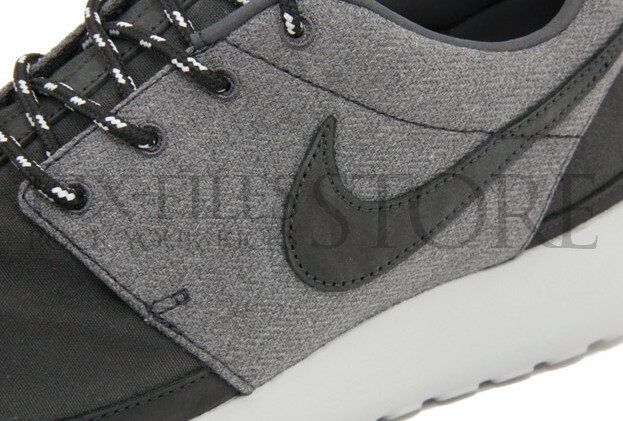 Nike Sportswear looks to close out a historic debut year for the Roshe Run with a variety of premium looks, including this black pair previewed here today. 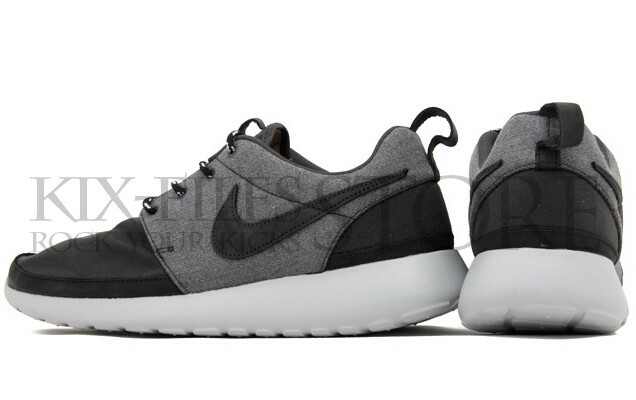 The Roshe Run Premium takes things to the next level, utilizing premium textile overlays and a reinforced nylon toe. This upcoming look combines anthracite grey and black throughout the upper, while metallic platinum takes over the lightweight Phylon sole sitting below. 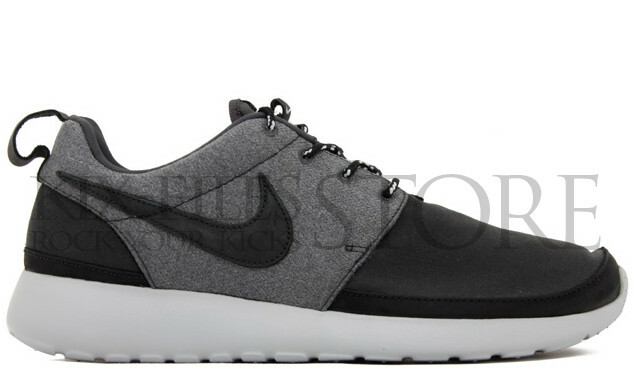 The Anthracite/Metallic Platinum Nike Roshe Run Premium is expected to arrive soon at select Nike Sportswear accounts nationwide.